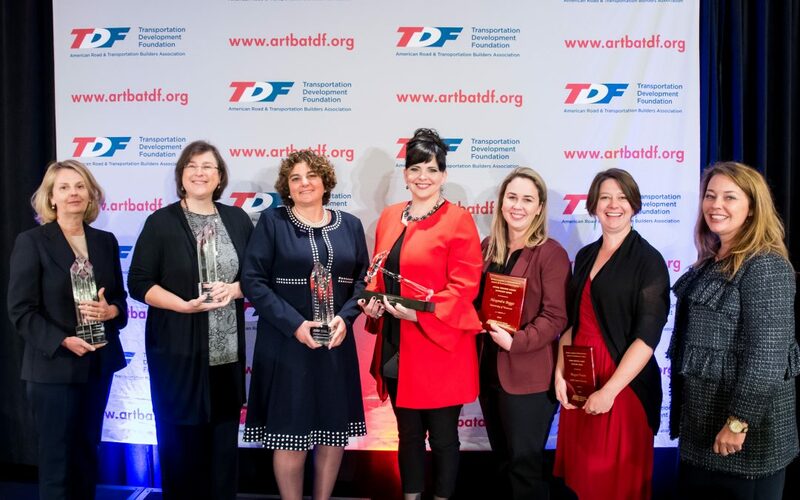 HNTB Mid-Atlantic Division President Diana Mendes, Texas Transportation Institute Director of External Initiatives Dr. Melissa Tooley, the global infrastructure company Gannett Fleming, and students from Grand Canyon University and the University of Tennessee, are the 2018 recipients of the ARTBA Foundation’s “Women Leaders in Transportation Design & Construction” awards. The awards were presented at an Oct 1. luncheon during ARTBA’s National Convention in New York City. Diana Mendes of HNTB and Dr. Melissa Tooley of Texas A&M’s Transportation Institute were awarded “Ethel S. Birchland Lifetime Achievement Awards” for their outstanding leadership, long-term service in the industry’s private and public private sectors, respectively, and dedication to the advancement of innovation and other women leaders. Gannett Fleming was the sole recipient of the “Glass Hammer Award”, which honors companies in the transportation construction industry that have innovative programs and activities directed at successfully promoting women leaders within their organization. Meagan Brown, a graduate student at Grand Canyon University and Alexandra Boggs, a graduate student at the University of Tennessee were each given the “Future Industry Leader Spotlight Award” for their outstanding academic records and demonstrated extraordinary leadership skills within and outside of the academic environment. 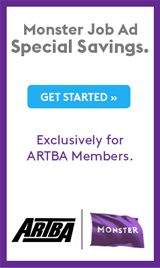 More information on the Foundation’s awards programs can be found at www.artbatdf.org.